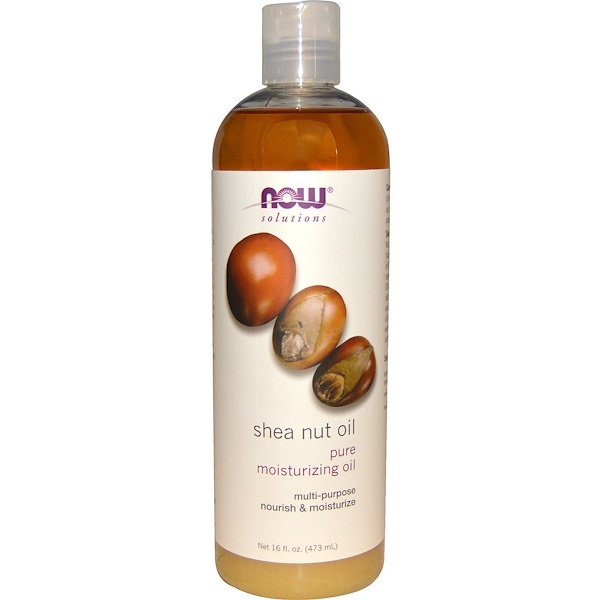 Solution: NOW solutions pure shea nut oil is an expeller-pressed, fractionated oil obtained from the seeds of African Karite trees. Rich in oleic and stearic essential fatty acids, Shea Nut Oil is a superior personal care oil that's ideal for nourishing and moisturizing your hair, scalp and skin. This luxurious oil absorbs quickly, so you'll enjoy youthful, radiant skin and healthy, lustrous hair without any greasy residue. NOW solutions is the next step in the evolution of personal care products. This comprehensive natural line encompasses anti-aging moisturizers and serums, bath and body oils, shampoos and conditioners, oral care, skin care, and essential oils, all of which are formulated with the finest functional ingredients from around the world. NOW Solutions products avoid harsh chemicals and synthetic ingredients in our formulations, to provide a more natural product line. For skin: Apply daily as desired. 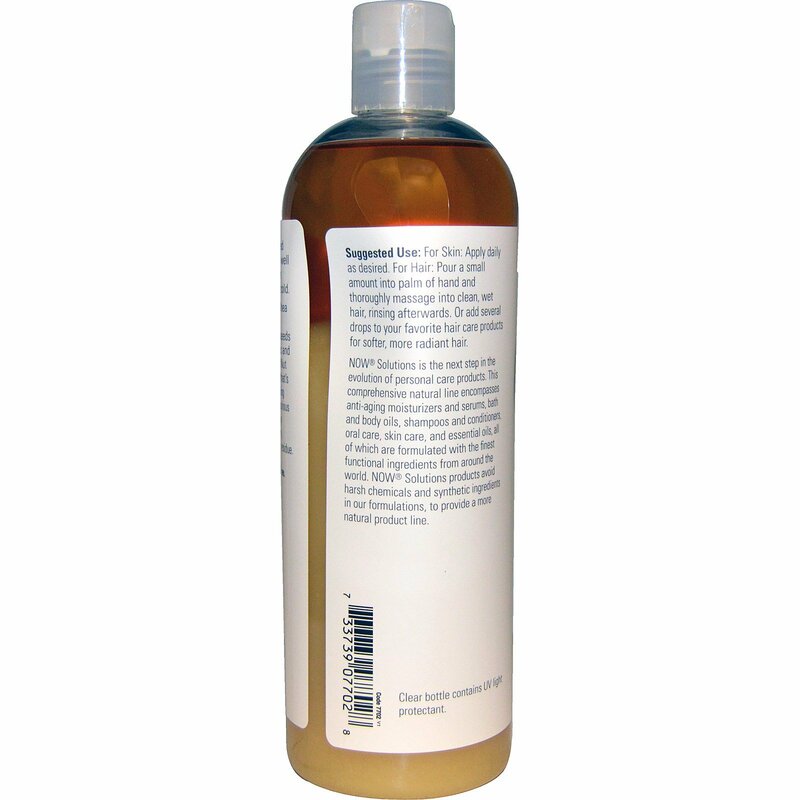 For hair: Pour a small amount into palm of hand and thoroughly massage into clean, wet hair, rinsing afterwards. Or add several drops to your favorite hair care products for softer, more radiant hair.